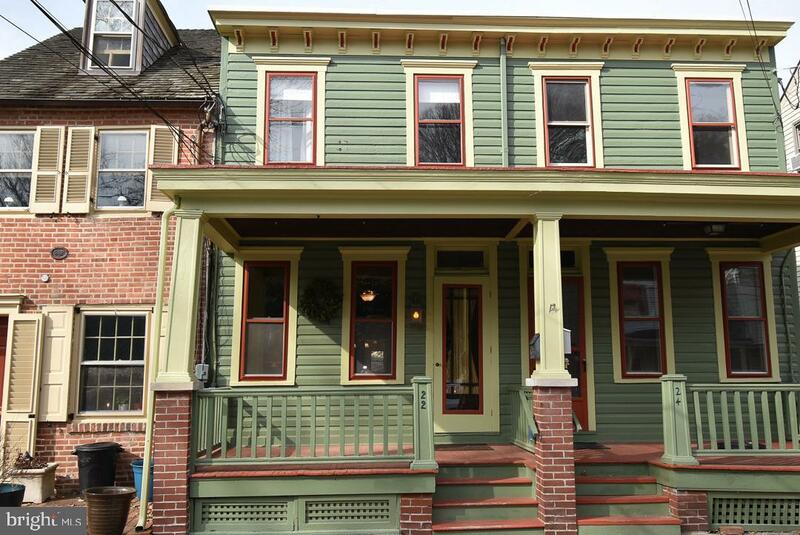 This charming porch front home sits right in the Heart of Old New Castle (and NOT in the floodplain), has undergone extensive renovations, and is surprisingly spacious. The formal living room is large and deep, offering a built-in bookcase and a coat closet. 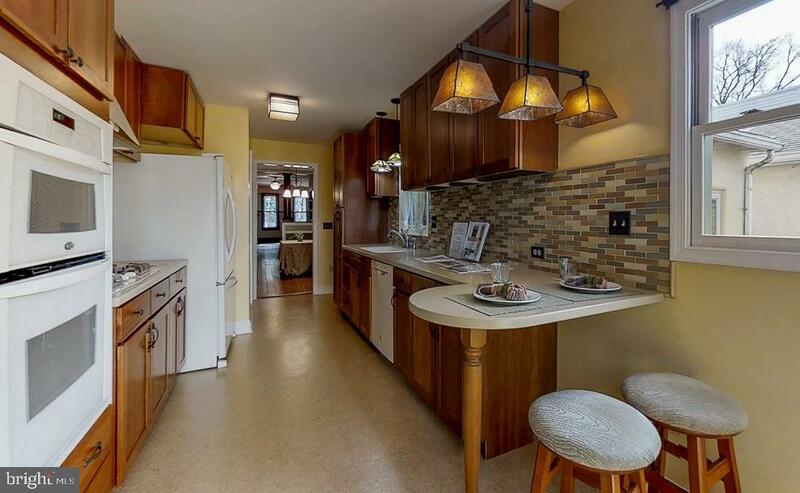 The spacious dining room opens to a cheery, fabulous kitchen that was part of a two-story 2007 addition to the home. It offers extensive bright Corian counters, banks of beautiful cherry honeywood cabinetry, a five-burner gas cooktop with a designer bisque hood, imported tile backsplashes and wall ovens. Windows on two exposures bring in natural light and pendants highlight the sink and counters. There's a breakfast bar for dining and access to the deep rear garden. A pocket door at the kitchen's entrance opens to a convenient first floor powder room. The upper level hosts three bedrooms and a beautiful bath with a seated two-person walk-in shower. The roomy master bedroom enjoys privacy in the back of the home, where it houses the laundry center. Double doors with sidelights open to a private, screened in porch. What a lovely spot to relax, surrounded by nature and gardens. 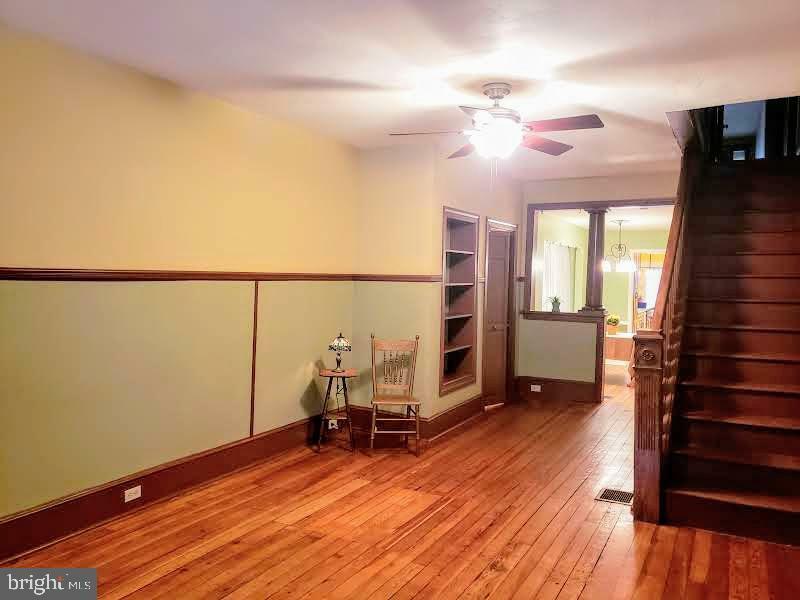 This historic home, its original part harking to the 19th Century, offers original old growth Heart Pine wood floors, chair rails and ceiling fans. It has central air conditioning, economical gas heat, an attic and a basement. 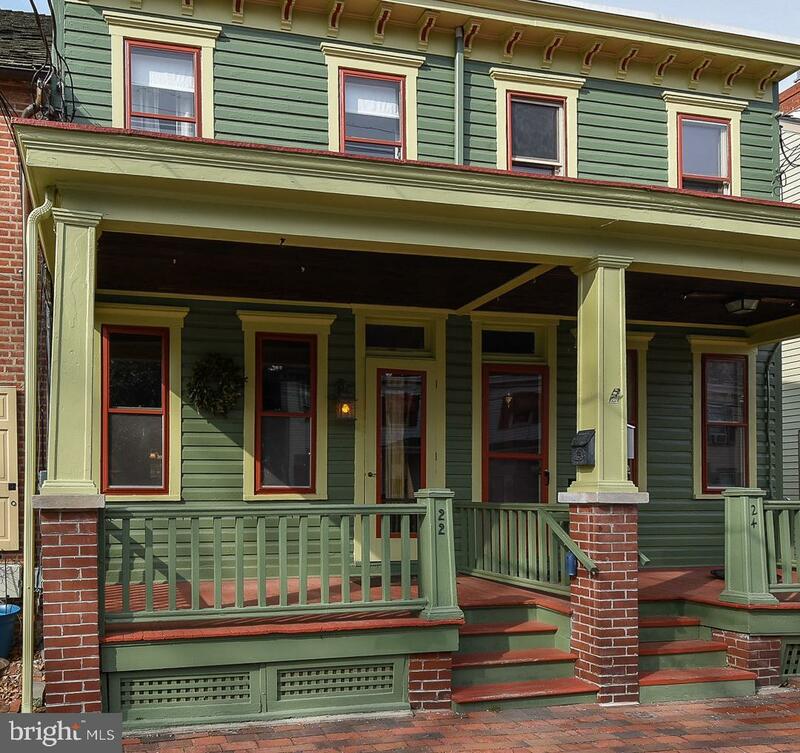 From the welcoming front porch to the second floor private one, this is one charming, comfortable home! It's been well maintained, with records, plans, invoices and warranty information available for review. All this, priced for today's market in the region's loveliest riverfront town. Great city services and it is not located in the flood plain. Shops, museums, eateries, Battery Park and the new pier are steps away. Enjoy the lifestyle this gem of a town offers, from public holiday celebrations to summer concerts at the riverfront! A Home Warranty is included.